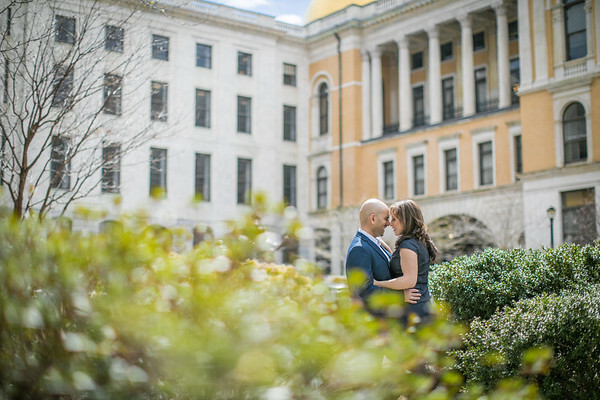 Boston is never lack of great spot for doing engagement session as it's such a historical city. 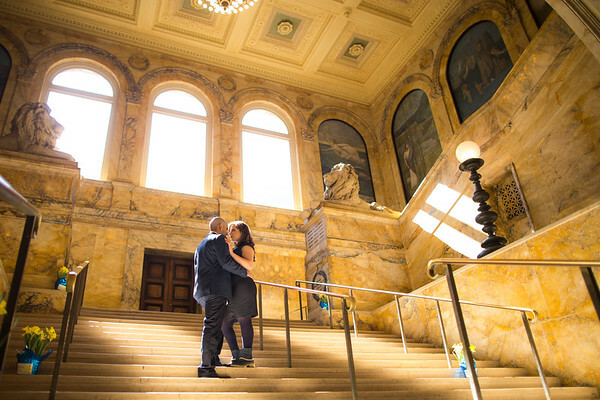 One of my favorite spot in town has got to be the Boston Public Library. Although the outside was gorgeous and the lighting was near perfect. We could not pass the opportunity but to get inside of this stunning structure to take advantage of all the sculptures, wall paintings, historic bookshelf and the fine details. After we had much fun hanging out in the reading room while trying not the bother other readers, we headed out for some classic New England back street that Mike was looking for. 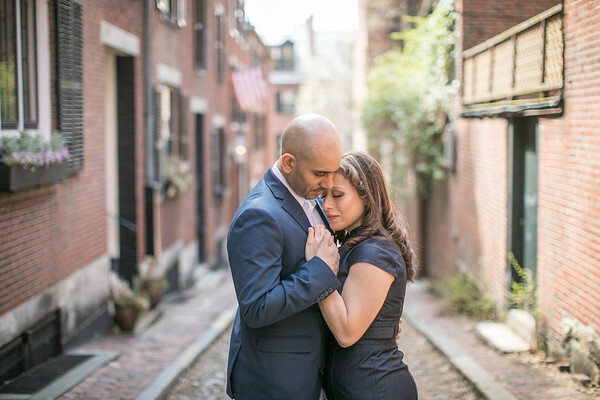 Then we visited the well known Acorn Street and wrapped up our session in those golden hour lighting!